Technology-oriented start-ups and Vector – the two go well together and it feels right: Vector itself was started 30 years ago from an idea and three minds. Thus, it is not surprising that, as a member of the Wissensfabrik – the Knowledge Factory business initiative – Vector supports the WECONOMY start-up contest as a partner. 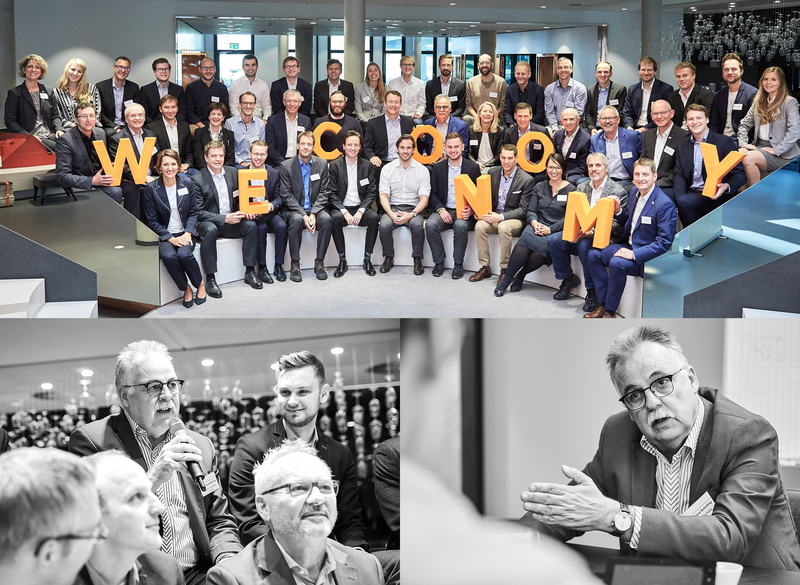 Germany’s most innovative entrepreneurs have the opportunity here to convince a jury of economic decision-makers of their business ideas: of silicon eyes for autonomous driving cars, of mobile real-time laboratories for farmers or of cleanroom 3D printers for medical implants. This is a feat accomplished by 112 start-up ideas since 2017. They receive an award that goes beyond rankings or monetary prizes and instead focuses on know-how and professional exchange: between start-ups and decision-makers, newcomers and established leaders, between young, enthusiastic rookies and experienced minds with steady hands. The concept is proving effective: 85% of the award-winning start-ups are still active on the market today. The ten start-ups receiving recognition this year cashed in the first part of their prize in October at the WECONOMY weekend. They refined their business idea in intensive one-on-one meetings and discussed topics such as market entry, product development and organization and company development. Their dialog partners? Experienced business personalities from the executive boards, CEO offices and top management of the German economy. One of these: Dr. Helmut Schelling, co-founder of Vector. What exactly he and the other dialog partners passed on to “their” young entrepreneurs ­ – that remains their secret. What is certain is that all WECONOMY winners made full use of the opportunity to profit as much as possible from the wealth of experience of their discussion partners. More about WECONOMY and more about where else and how else Vector is active.